It’s been almost six years since we lost dad. 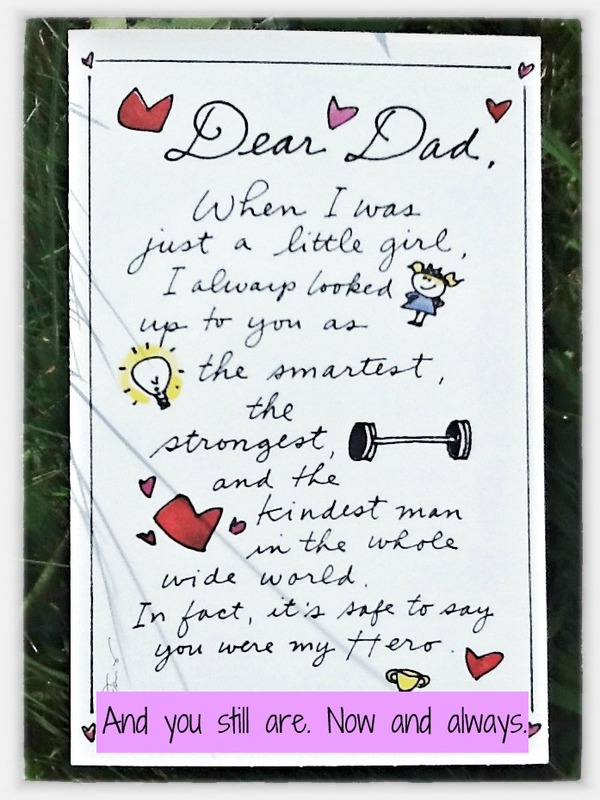 What a great phrase – lost dad – like we accidentally misplaced him and he’ll show back up someday in the junk drawer or the attic, brushing off layers of dust and grinning. And trust me, the man would be grinning. We’re an irreverent family, if you haven’t guessed that already from my posts. We face adversity with humor and jokes. It’s how we roll. This year, dad’s birthday falls on Father’s Day. So it’s kind of a two-fer, right? And as it approached, I found myself getting sad and maudlin and weepy. I took flowers to his grave and stood there impersonating a ginormous, Mickey-shaped tear sprinkler. And I thought to myself, “Self, really? Is this what he’d want?” No. No, it isn’t. I could picture him standing in front of me, pouting his lower lip out just like he would when I was upset about something. “C’mon,” he’d say. “Hang your lip. More. Is that the best you got?” And we’d sit there making faces – trying desperately to stay serious and failing spectacularly, dissolving into helpless laughter each and every time. As I looked through boxes of old photos to find some to share, I noticed something. It was almost impossible to find a picture in which dad wasn’t smiling or doing something goofy. Case in point: Here is dad, doing his interpretation of the dance from REM’s Losing My Religion video. He is dancing while we spread topsoil yet again on the front yard, hoping against hope that this time grass would grow. I loved him dearly, but despite fertilizers and grass seed and watering and trucked-in topsoil he could somehow make any yard look like a cursed ancient burial mound – shriveled grass, patches of bare, rocky soil. I’m pretty sure I saw a tumbleweed in our yard once. In Virginia. He enjoyed ridiculous jokes and puns. He loved listening to Jimmy Buffett. When he finally got his dream car – a Caddy with a phone that operated through the speakers – you could HEAR him grinning when he called you, just to say hello. Just because he could. I remember playing Pictionary with him. He’d draw the most ridiculous things and then get annoyed when you couldn’t guess them. He’d start gesturing, or adding more lines over the ones he’d already drawn for emphasis. 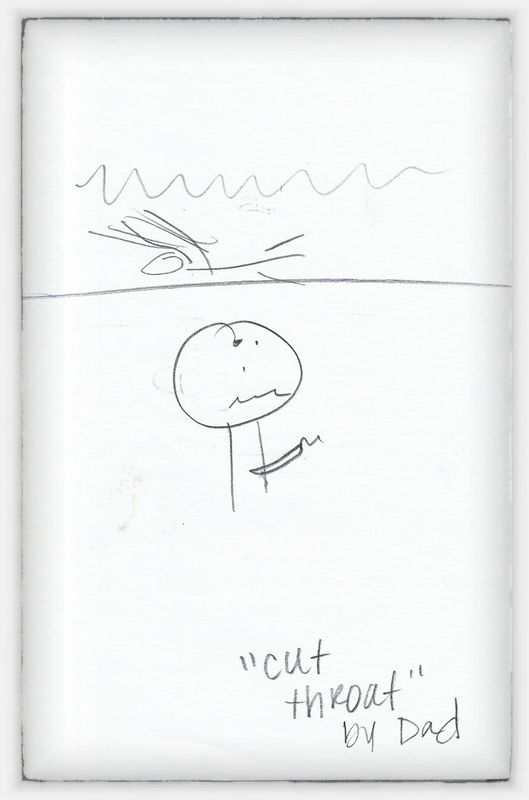 Once, we were on the same team, and he drew a sad looking stick man with something on his neck. “Um. String bean? Tampon neck?” He pointed forcefully at the picture with his pencil. I stared at it some more. “Jalapeno pepper?” He put his head in his hands and started laughing. The buzzer sounded. “Cut throat,” he said. We all howled with laughter. That’s what I remember the most about my dad. He could make pretty much anything fun. His laugh was infectious. I remember once in a pub in Ireland, he started laughing about something that happened earlier that day. The laugh started deep in his belly. It was very low, and as it gained steam it rose through his body until he was making helpless snorking sounds through his nose. Mom and I glanced at each other and started laughing, too, and one by one EVERYONE in the pub joined in, gasping with laughter, holding their sides, in some cases with tears rolling down their cheeks. They had no idea what they were laughing about, and it didn’t matter one bit. It was a happier pub after that, people talking and interacting more, all because of dad’s laugh. If you want a more serious remembrance of dad, you can read my post from a couple of years ago. It also contains a great picture of him with a windsock on his head. Because, you know, that’s how he rolled. My dad was a great man. Fun and funny, smart, strong and kind. He’d do anything for you. He was my hero when I was little, and he always will be. So Happy Birthday and Happy Father’s Day to the best dad ever. I still hear your laughter in my heart. And I still miss you, each and every day. Photo credits: Mickey Gomez, all rights reserved. So now we know where you got your ready wit and impeccable timing. He must be nearby every time you make us laugh. What a fine man you’ve shared with us today. And a beautiful side of his lovely daughter. What a fun Dad. And what a great daughter he did raise. Kudos to you both, and Happy B-day to him. I can see he and my dad chillin’ at a (really long) bar up ‘there’ and smiling down on their children, proud as can be. Cheers. Cheers, Myk! I love that image. And Indy-dog is sitting there at their feet, quietly hoping for peanuts. Thanks so much for stopping by, and for your kind comments. I know your dad is so very proud of you, too. Happy Father’s Day, my friend! Your dad rocked. What a fun guy. He’s a very proud Papa, no doubt. Hugzzz to you Mickey….and more and more. Jennifer, thanks so much. And big hugs back to you. Your dad did alright with you. He did alright. Sending a hug. What a moving post, Mickey. Happy birthday to your dad as well. You are an amazing woman Mickey. And wherever your Dad is, he’s making a face and chuckling and saying, ‘yes!’ that’s my girl. You know what, Liz? You’re probably right, and that makes me smile. I hope he’s also enjoying a tasty adult beverage and listening to Buffett, with or without a festive party windsock on his head. Imagine being a good enough man, and a good enough father, to create a child who would write something this lovely in your honour and memory. He musta been good. He was quite the inspiration, Bob. Thanks for your kind words. Trust me when I say you would’ve absolutely appreciated his sense of humor – there is no question in my mind.